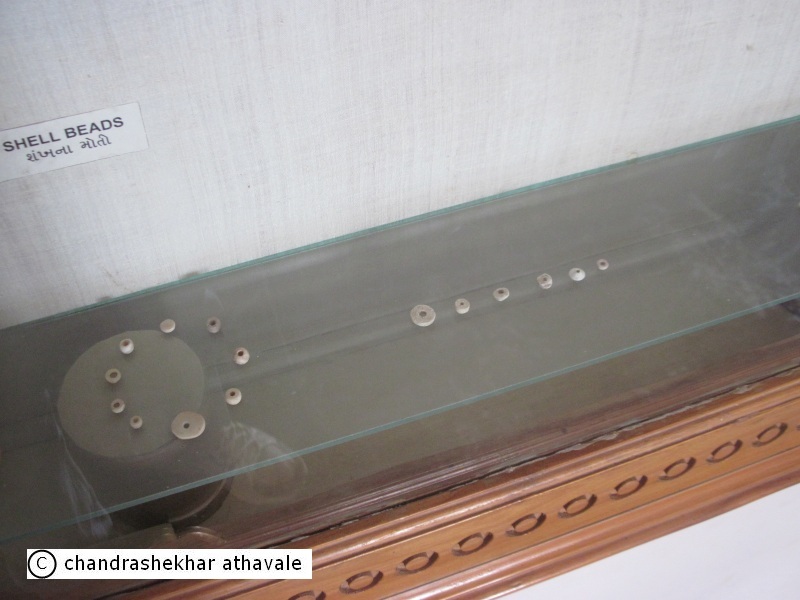 I came to know about Dholavira for the first time, about 2 years back, during a visit to New Delhi's National Museum. This museum has a large wing devoted to artifacts and other items retrieved from the Indus civilization habitats. My school history books of 1950's vintage, had described Mohenjo-Daro and Harappa, from far away Pakistan, as the main centers, around which, this civilization had bloomed. 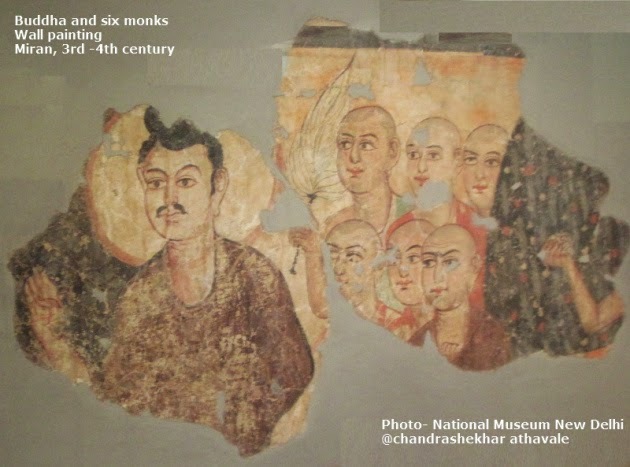 Yet, in the national museum, there were hundreds of exhibits from new and 'never heard before' places like Dholavira, Rakhigarhi and Kalibangan, which were being claimed as part of Indus civilization by the museum. 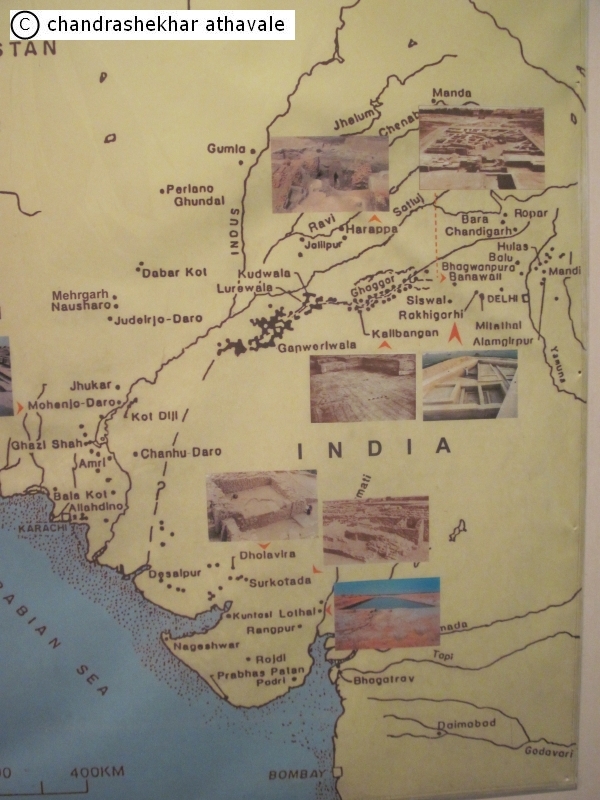 I had a good look at a map displayed in the museum, which showed all the important places connected with Indus civilizations. I discovered that my ideas, mostly learned in school history classes, were all wrong and things have now radically changed. Indus valley civilization is now known as Indus-Sarswati (Ghaggar) civilization and its extent was now spread from west bank of Indus to east bank of Ghaggar river to nearabouts of Delhi, and to the Kathiawar peninsula in the south. Out of the three new places, that I have mentioned above, Rakhigarhi and Kalibangan are up in north, not very far from Harappa. The third place, known as Dholavira, however is located very much to the south, located in the middle of the white desert of Rann of Kutch. Ever since that day, Dholavira was firmly in my mind and I had decided to visit it some day in future. An opportunity came up in January 2013 and I visited the place. 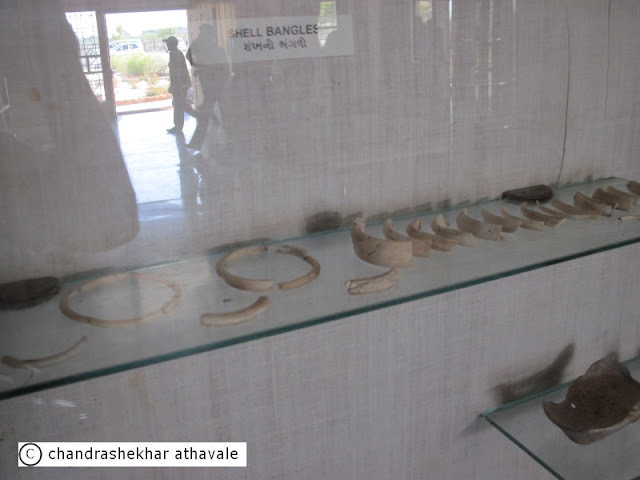 I have already described details of my visit to Dholavira, in a separate article. 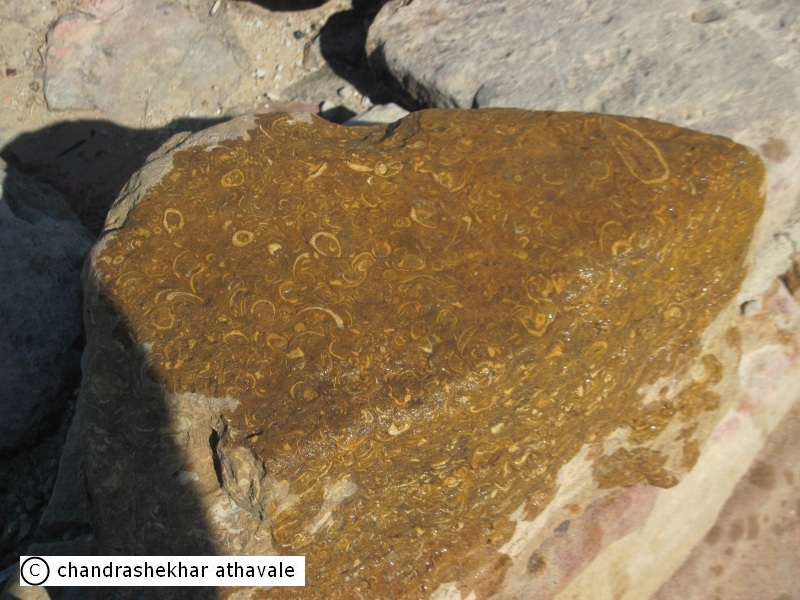 Based on whatever information I could gather during my visit to Dholavira as well as some research later on the internet, I can say that Dholavira's ancient habitat is absolutely amazing. In this series of articles, I want to present to readers, what I have learned about this habitat from an ancient civilization that had flourished in Indian subcontinent 4000 years ago. Dholavira was a metropolis or a city. Archaeologists estimate it's population between 15000 to 20000 humans. Now, that is a very large number of mouths to feed and sustain living in just one place, for a civilization that had just developed from hunter gatherers only 2 Millennium before. It was a wonder. Still, Dholavira was a successful city, because it sustained itself from 2650 BCE to 1450 BCE; a span of over 1200 years. I found it very difficult to imagine existence of such a large city in the middle of no-where. There are no great rivers around Dholavira. It is surrounded today by salty plains of Rann, which get filled with sea water only few feet deep during Monsoon months and for the rest of the year, remains either as marshlands or parched desert lands. Dholavira is located on an island known as 'Khadir bet' in the middle of this wilderness, which does not appear very fertile or having substantial water sources year round, to sustain concentration of such a large number of people in a city ranked as the fourth largest habitat of Indus-Saraswati civilization. Today, the landscape around Dholavira, mostly consists of Gum Arabic trees with some grasslands. 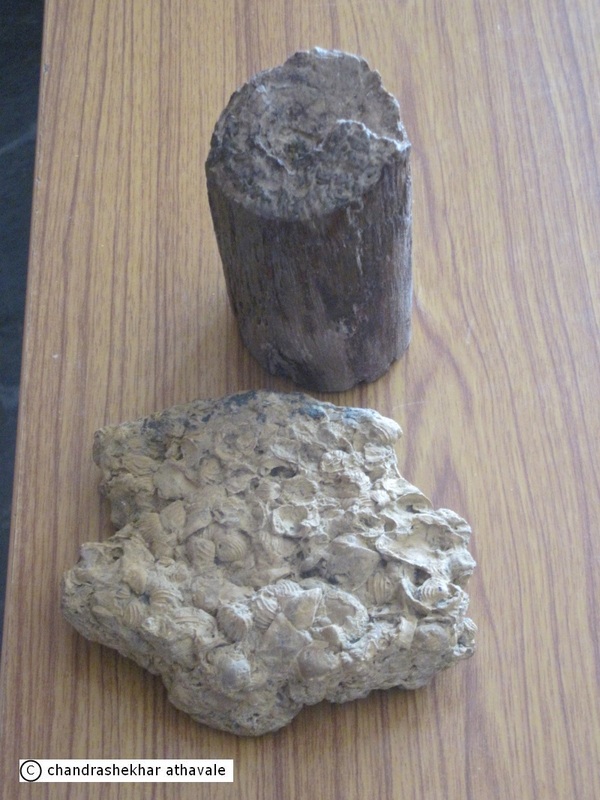 Plenty of evidence is available on site, which suggests that the geography of Dholavira was grossly and completely different, 4000 years ago, from that of today. 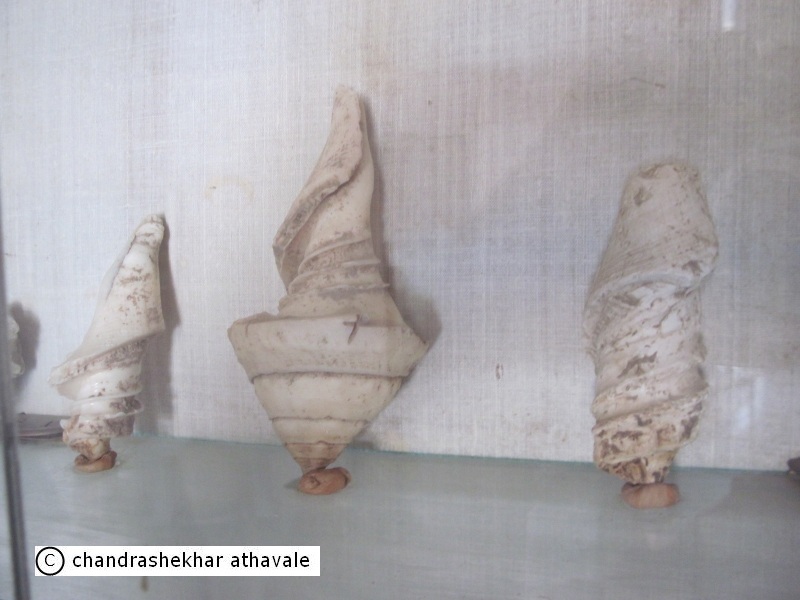 In the 'Dholavira Archaeological museum,' a small but very informative museum, I saw large sized conch shells excavated from this ancient habitat. These conch shells indicated presence of a sea coast not very far from this site. Our guide had also shown us a piece of a rock used in the construction of a wall, bearing clear fossilized marks of seashells. Museum displays broken pieces of bangles or wrist rings and beads made from shells in large numbers and finally a fossilized rock formed by a cluster of hundreds of sea shells. The evidence clearly indicates that Dholavira was a port city or a port was located nearby, from where, ships sailed regularly. This also means that Dholavira was a trading hub, which explains the large population of the city. Having attributed Dholavira with a port is done easily, but the fact is that 'Khadir Bet' is located at a distance of more than 150 Km from nearest known port of 'Lakhpat' in the Kori Creek on Arabian sea and there is no body of water between these two. Let us first try to understand the present geography of this area. 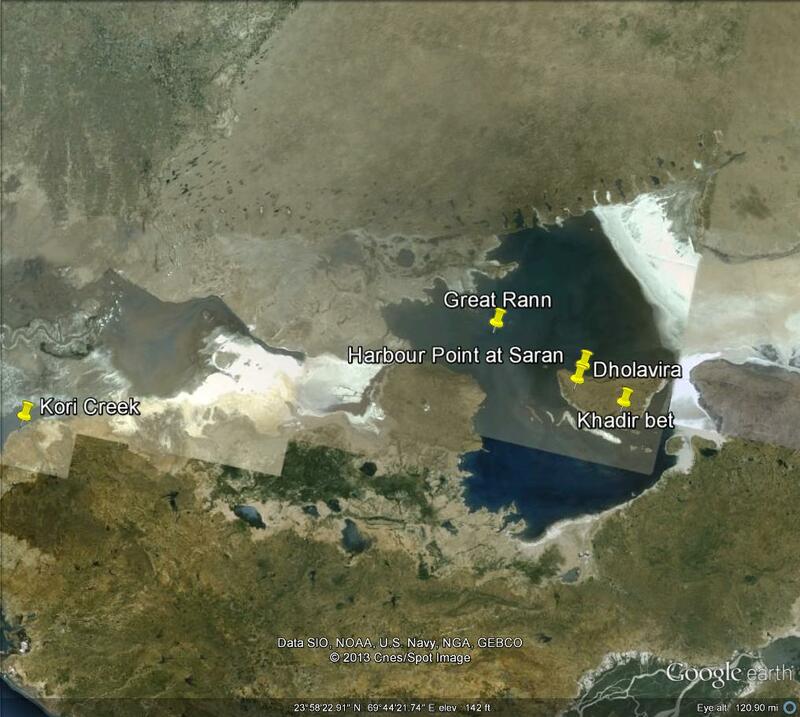 As it is now, the Rann of Kutch is divided into two unequal halves known as Greater and Little Rann. 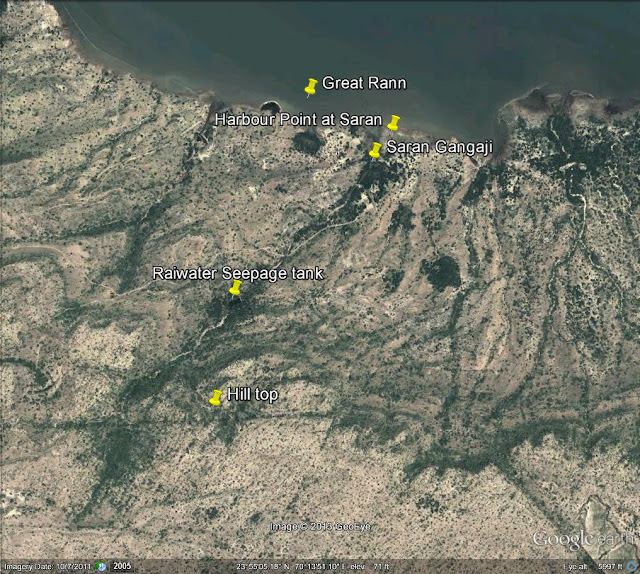 Rann is an unique kind of landmass and today its mean height is roughly equal to the mean sea level. During summer period, south-westerly wind pushes the waters of Arabian sea through Kori creek and submerges the Rann for few months. During Monsoon, the seasonal rivers like 'Luni' from surrounding areas empty into the Rann. But after Monsson months are over, the water starts to recede and Rann dries up converting the area as a flat ground, impregnated with salt. During submergence period the water column height over the Rann varies between 3 to 6 feet, but it remains a seasonal phenomenon. It is obvious that under these kind of situations, no port could possibly exist near about Dholavira and if there was a port here, the geographical situation had to be much different then. The significance is of this geographical change is important for us. It simply says that up to year 1000 CE, the waters of Indus were chiefly emptying into Arabian sea through the western mouth of the Rann or Kori creek. 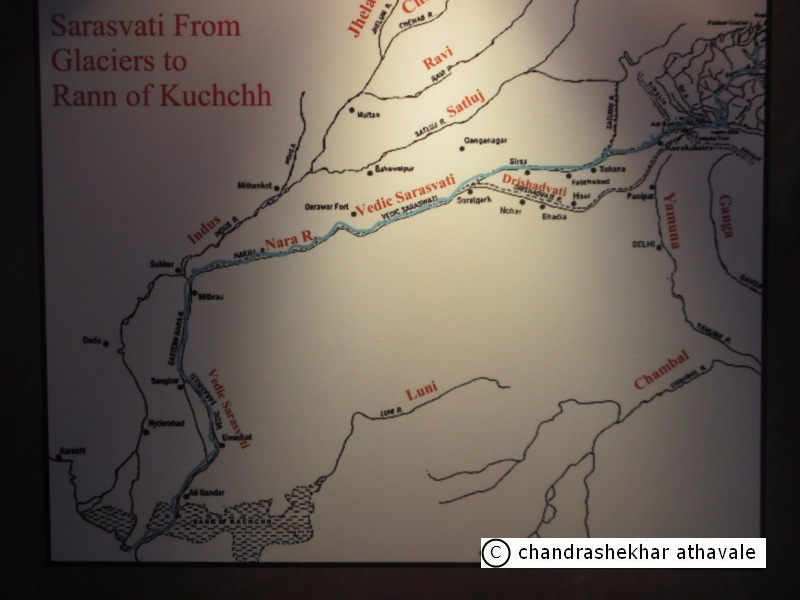 I also found another interesting map displayed at a place near Bhuj city in Kutch. This map showed another mighty river almost parallel to the Indus river flowing from Punjab and emptying into the Great Rann. I was curious and found out that this river shown in the map was none other than the Ghaggar-Hakra river known as Sarswati. 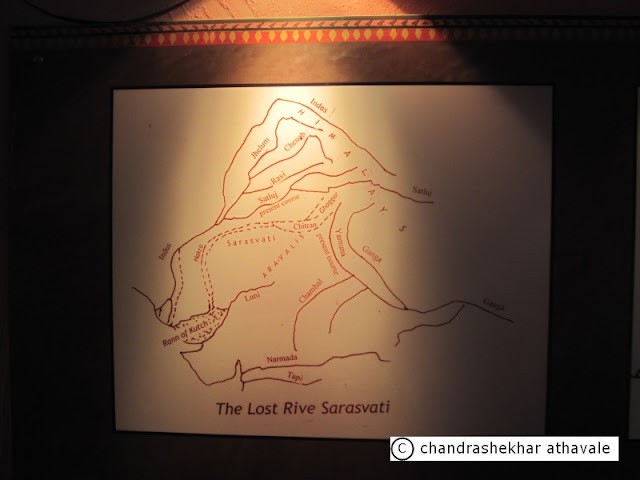 Excavations by Indian Archaeologists along the banks of this river have brought to light, great habitats of Banawali, Kalibangan and Ganweriwala, all parts of the great Indus-Sarswati civilization. This mighty Monsoon fed river emptying itself in the Greater Rann, is also of great significance from the point of view of Dholavira. A regular flow of water through this mighty river must have kept the entire Rann under a costant sheet of water, all through the seasons, and the 'Khadir bet,' the landmass where Dholavira is situated, must have been a true island. 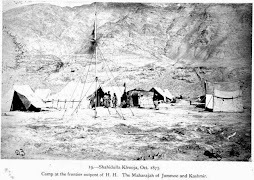 After this, I could see that the town of Dholavira located on the 'Khadir bet' was an excellent strategic location for trade and commerce as well as communication for the entire Indus civilization. The various waterways converging near Dholavira meant that ships plying in the Rann could connect Dholavira to Cholistan and Bhawalpur areas of present day Pakistan, Rajasthan, Haryana, Punjab through Ghaggar-Hakra river, to Indus valley cities like Mohenjo-Daro and Harappa and above all manage to carry out international trade through Kori creek and Arabian sea with civilizations of the middle east. 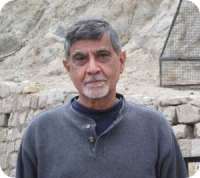 In fact, Dholavira must have exercised great control over international and domestic trade of those times. This explains very well, the prosperity of the city and the fact that it existed for as long as 1400 years. 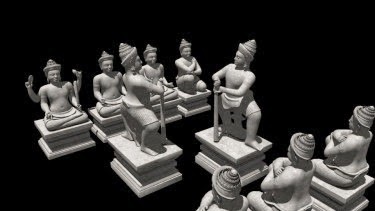 Archaeologists, investigating Dholavira, were still puzzled about absence of any signs that would indicate the existence of a well developed harbour or port on the 'Khadir bet.' 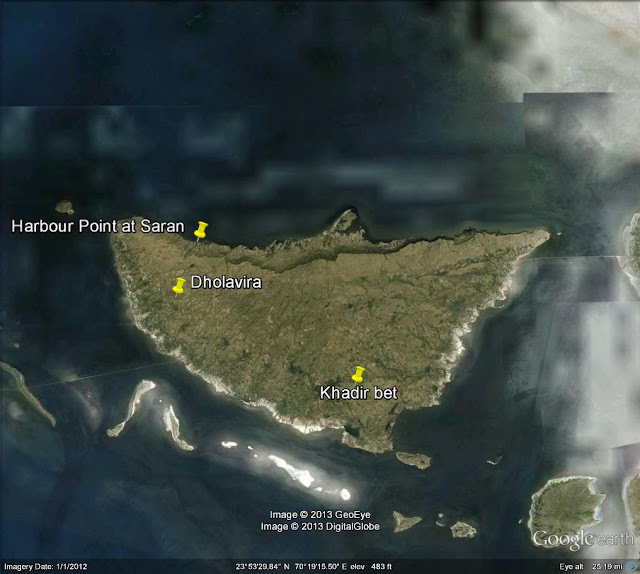 However, a likely spot emerged soon, about 3 Km northeast of Dholavira, at place locally known as 'Saran.' This spot is situated on the northern foot of low lying hill ranges, occupying the southern shoreline of the great Rann. A seepage water reservoir is found in this desert like area, indicating availability of drinking water. During monsoon a small brook known as 'Saran Gangaji' carries excess rainwater from the pond to the Rann at a distance of few hundred meters. At the confluence of the brook with the Rann, Harappa period structures have been observed, lying partially buried under debris. The architectural style of these structures is identical with the citadel at Dholavira. This spot is believed to be the the site of the ancient harbour of Dholavira. I am amazed at the great foresight and strategic consideration shown by people from Indus civilization in selecting the site for this great city. 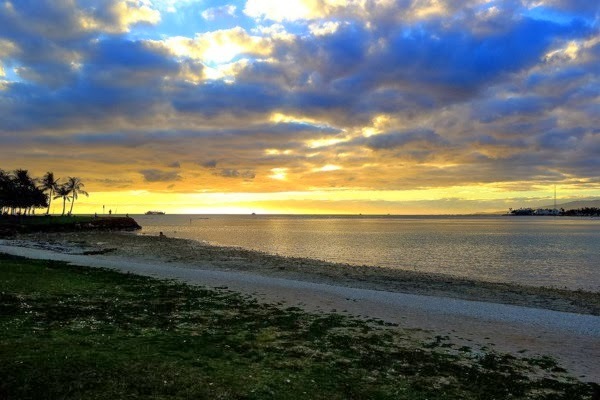 Its location on an island was also best suited from security considerations. In the next part of this series let us examine another wonder from Dholavira, it's water management system. 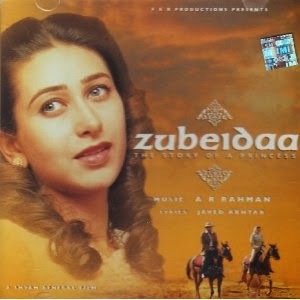 Your this new post is once again another tryst with history. 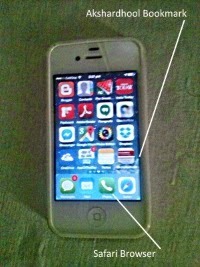 I look forward for further posts. Thanks.